New Rineheart Targets with a great Discount! In Stock! We have the new Rineheart targets with $20 Rebate. Why Rinehart Targets? They’re durable, American made, and they’re a reputable brand… plus, now you can get a great rebate on select models! Come in and see us for more details! “Rinehart’s exclusive solid, self-healing foam targets can take hit after hit after hit without tearing or other damage. 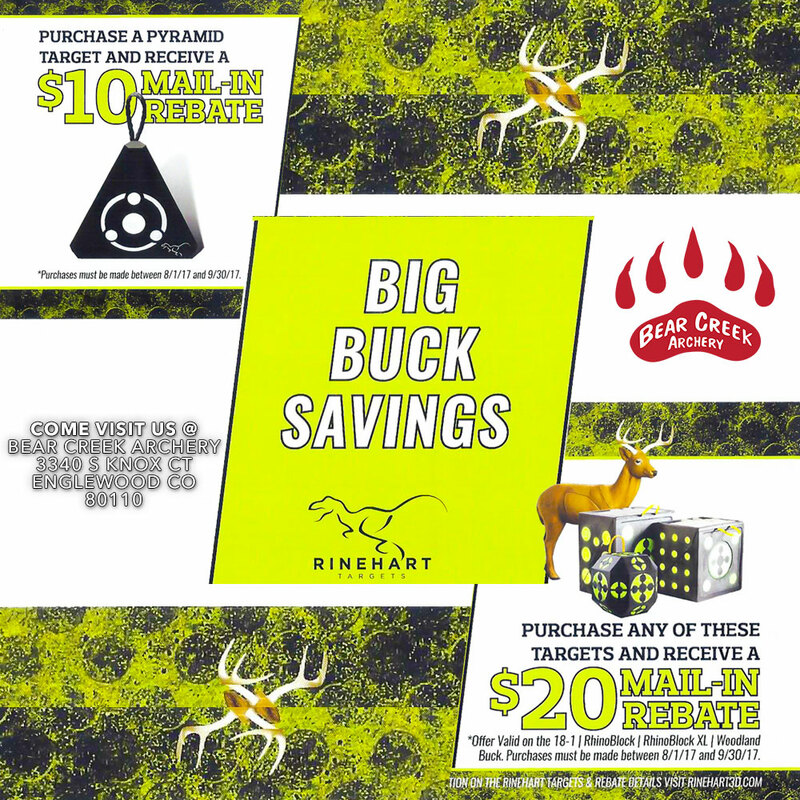 Whether you’re shooting fieldpoints, broadheads or even expandables, Rinehart lets you take your best shot every time without loss of target integrity or risk of shoot-throughs. Rineheart is dedicated to providing products to our customers that are made right here in Janesville, Wisconsin.